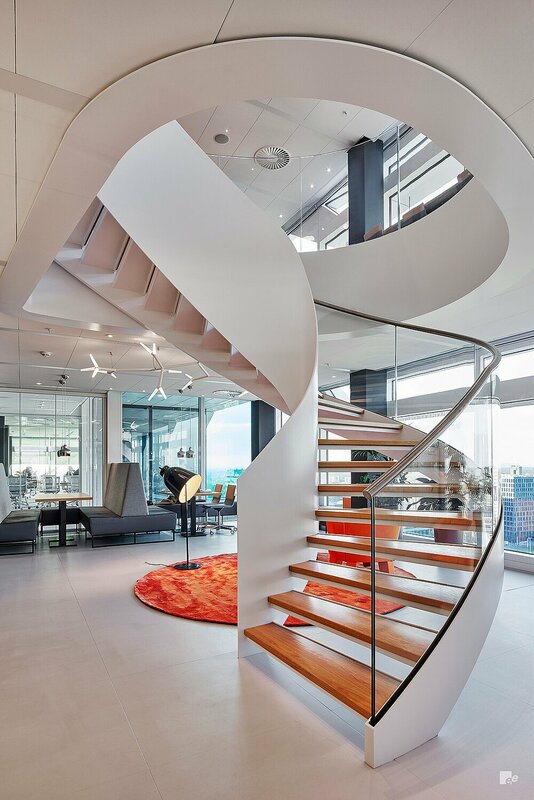 Automobile and fleet management specialists, LeasePlan appointed EeStairs to create a staircase for one of the key areas in its Amsterdam offices. 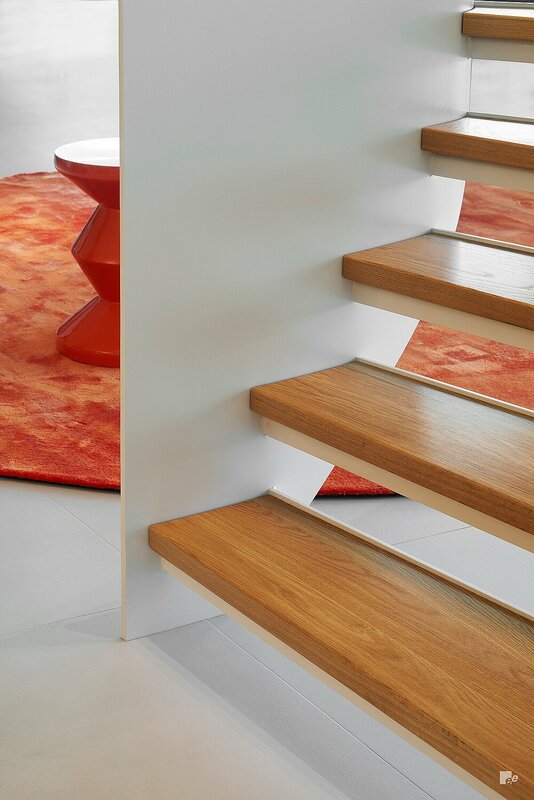 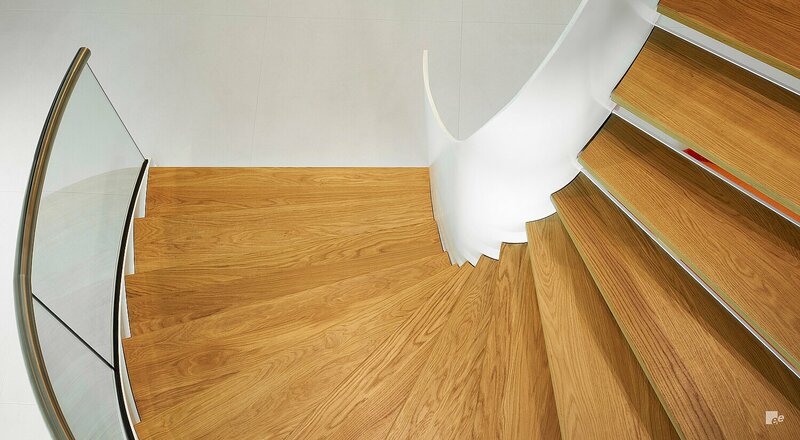 The resulting helical staircase, that connects spaces on the building’s 15th and 16th floors features treads and a handrail formed from timber, in addition to a glass balustrade. 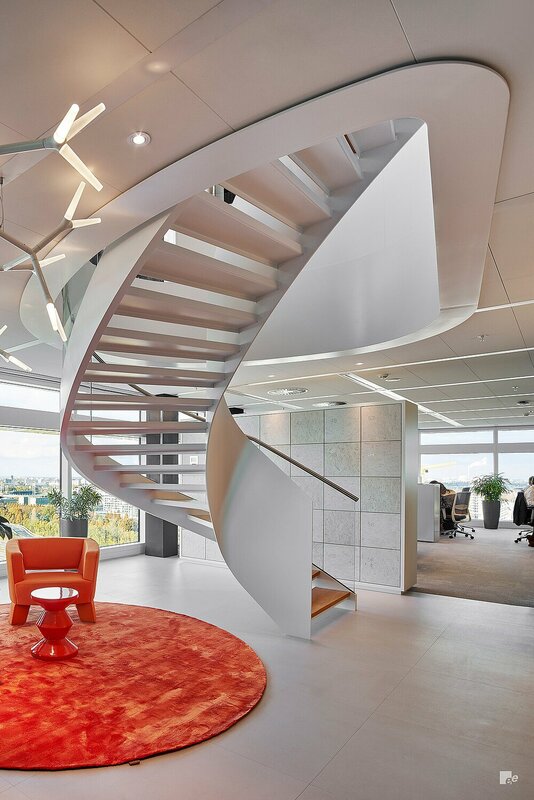 The staircase’s design was inspired bby the shape of a car mirror, reflecting the nature of LeasePlan’s business activities. 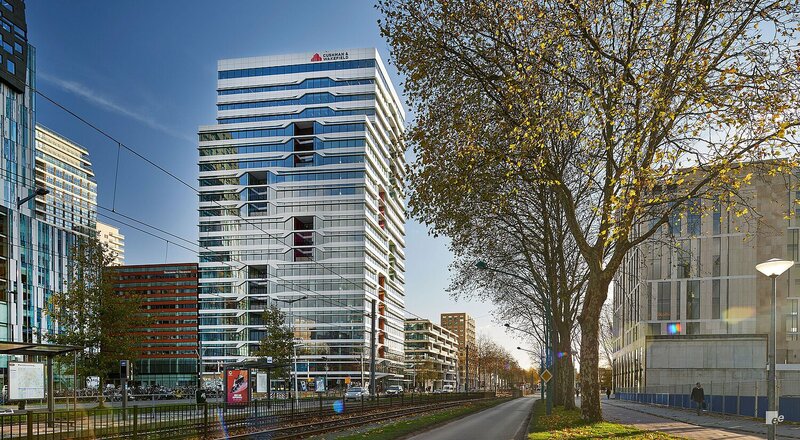 Delivered in parts via the building’s lift – the staircase was assembled, welded and sprayed on-site by EeStairs’ specialist installation team.